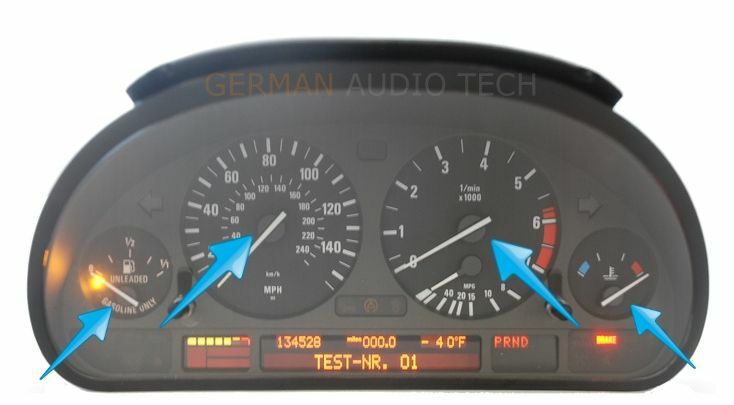 This listing is for the purchase of (1) Brand New Pointer / Stepper Motor for your BMW's Instrument Cluster. If you do not trust yourself in performing your own repair, we strongly recommend that you Click Here to have us quickly repair your part. Please Note: This motor will not fit the Miles Per Gallon (MPG) or Oil Temperature Gauge on gray-face ///M Instrument Clusters. ** Does not fit MPG gauge. ** No instructions provided with the item. Please be advised, that if you need to replace just one stepper motor in your instrument cluster - you need to remove all needles and faceplate in order to gain access to the stepper motors' mounting screws.